Real Madrid ace Sami Khedira is being followed by Arsenal and Napoli. Sami Khedira recently rejected a new contract at Real Madrid so Rafa Benitez is trying to bring the German to Italy in the Serie A. But on his back is Arsene Wenger of Arsenal who wants Khedira to line him up with Podolski, Özil and Mertesacker to win a BPL title or the FA cup or UCL. What will Napoli have to offer Khedira. Well Insigne and Mertens are already behind Higuain and Khedira could replace Zapata in CDM position but CDM is what Arsenal need. So comment below or Tweet to @_TheSportMatrix if you have Twitter. Khedira is out of contract in the summer so he could be on his way out of Madrid with Kroos and Modric being able to take his place. 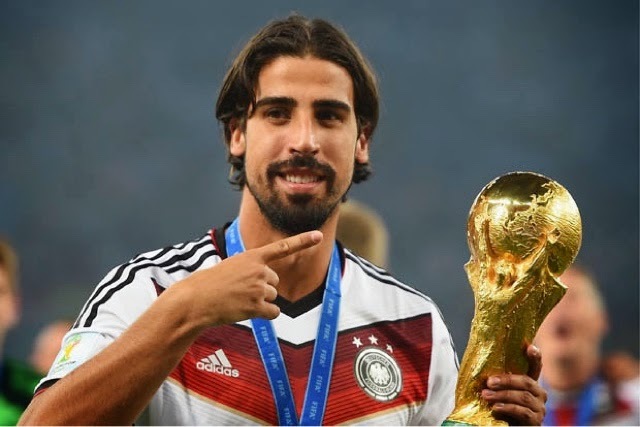 Napoli and Arsenal in the race for Sami Khedira.